My Morning Jacket in Montreal or Quebec City? Inform me about the next events for My Morning Jacket. Enroll yourself to our priority waiting list for My Morning Jacket to be alerted when new tickets are available. Filling this form doesn't engage you to any purchase. My Morning Jacket will be performing at the Métropolis, in Montréal, on July 12th, 2011. The band will also play the Ottawa Cisco Bluesfest which will be held at Lebreton Flats in Ottawa from July 5th to the 17th 2011. 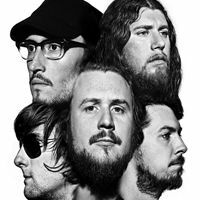 The American rock band is made up of singer/guitarist Jim James (often called Yim Yames), bassist Tom Blankenship, drummer Patrick Hallahan, guitarist Carl Broemel and keyboardist and percussionnist Bo Koster. My Morning Jacket's 6th studio album, Circuital, should be released in April but no release date has been announced yet.